St George Cranes has over 25 years experience working with rigging and crane hire in the Sydney metropolitan area. Here at St George we are committed to providing you with the best standard of service while maintaining the highest safety standards and superior quality. Our skilled team of trained and licensed franna crane operators and experienced dogmen will be both punctual and reliable. We work with you and your team to get the job done quickly and efficiently. 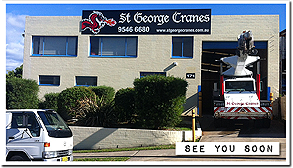 St George Cranes has at it's disposal a broad range of cranes available for hire within Sydney and surrounding areas. If you need franna crane in Sutherland or a crawler crane in Manly, then you can trust us. 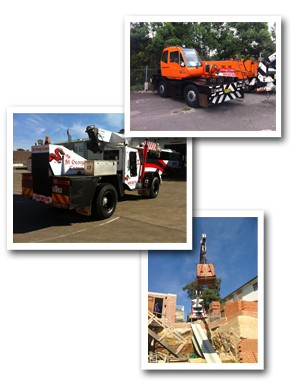 We are the tight access crane specialists and provide a broad range of lifting solutions for all of your needs. We always conduct operations in strict compliance with all relevant laws and local regulations. We don't believe in hidden costs or extras at St George Cranes. Customer satisfaction is always our number one priority. We will offer a highly competitive price for our services and we are always very clear upfront about the crane hire pricing and any additional costs that you may be up for. Need to ask the experts any questions about crane hire? Give our team a call today.